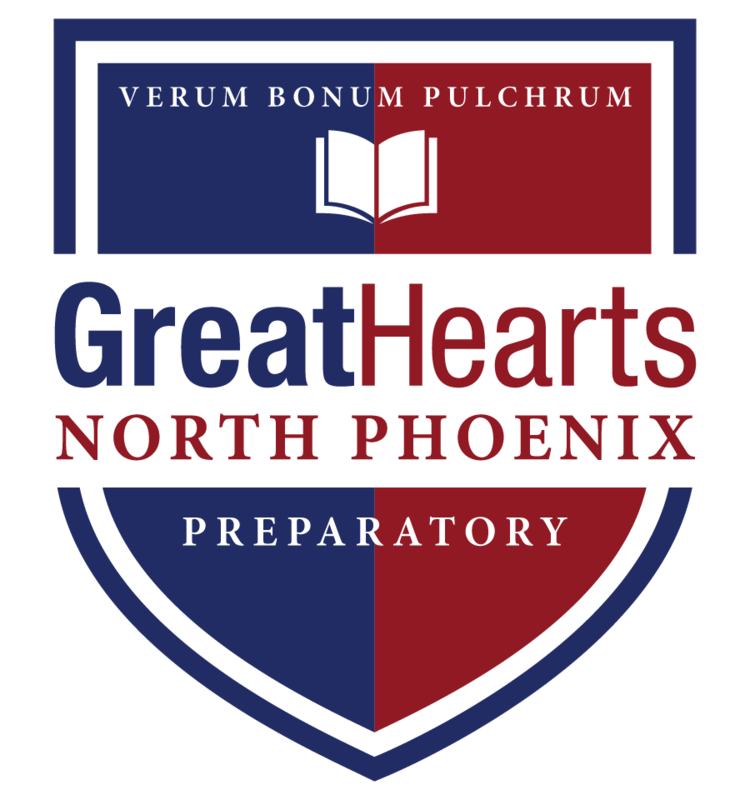 A cornerstone of the liberal arts curriculum at North Phoenix Preparatory Academy is the Humane Letters Seminar. In the 9th through 12th grades, English and History are combined in our Humane Letters courses: these are 2-hour long, daily seminars, directed Socratically and revolving around readings from Western Civilization’s best works in philosophy, drama, history, autobiography, poetry, novels, and essays. Students learn to read carefully, discuss clearly, and write coherently. American history with representative American literature including selections from Hamilton, Madison, Thoreau, Emerson, de Tocqueville, Douglass, Twain, Melville, Crane, Cather, Sinclair, Wilder, and Hemingway. English and European literature, philosophy, and history in tracing the development of political institutions from the late Middle Ages through World War II. Authors studied include Shakespeare, More, Locke, Austen, Dickens, Rousseau, Marx, Dostoevsky, and Solzhenitsyn. Literature, philosophy, and history of Ancient Greece with readings from Homer, Sophocles, Epictetus, Thucydides, Plato, and Aristotle. The students also study Macbeth. A capstone course in which students draw upon the work of the previous two seminars in examining developments in European literature and philosophy in the transition from Rome, through the Middle Ages and into the Modern Era. Authors read include Virgil, Augustine, Aquinas, Dante, Cervantes, Shakespeare, Descartes, Hegel, Marx, and Dostoyevsky. Algebra I is completed in the 8th grade and is not shown on the transcript. The standard high school math progression at the school is: Geometry, Algebra II, one semester of Analytic trigonometry, followed by three semesters of Calculus. The students study the subject through Socratic discussion. The standard science curriculum at NPX is: Biology, Physics I, Physics II, and Chemistry. All students graduate with four years of college preparatory science, including a second year of physics. Emphasis is placed on learning through discussion and experimentation, and all of our science courses have a laboratory component. All students study Latin in 7th and 8th grades. In high school, the students may switch to a modern language for four years of study, or they may continue their 3rd and 4th year of Latin, followed by ancient Greek. This language track affords students the opportunity to read and best appreciate some of the world’s most rich and influential literature and poetry in their original languages, including Cicero, Caesar, Lucretius, Ovid, Catullus, Virgil, Plato, Herodotus, and Homer. The emphasis in the modern language classes is to teach even first year courses entirely in the target language, adding both literature and composition by the second year. In the third and fourth years the class transitions to a seminar-style course, reading and discussing literary texts in the target language, including short stories, novels, plays, and poems. Students are expected to write essays of three to four pages. Honors Music Theory III & IV/Choir: Students analyze four-part tonal music according to Baroque style. The first year covers harmonic analysis of triads in major and minor keys as well as common harmonic progressions and cadences. In the second year, the focus expands to include analysis of form. Both years involve public performance of various pieces as a choir. Students also work on developing independence in musical performance. Honors Poetry I/II: The courses study drama and music in verse and develop a variety of poetic techniques. Authors studied include Molière, Donne, Coleridge, Frost, Dickinson, Shakespeare, Milton, Wordsworth, Shelley, and Tennyson. 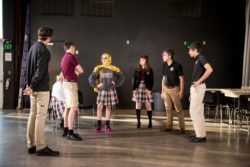 Drama I/II: Students develop their skills over a two year period by experiencing various aspects of stage production and performance. They also explore theater history and read great works of Aeschylus, Plautus, Shakespeare, Molière, and others. Studio Art III/IV: Building upon the basic art techniques taught in junior high these courses focus on advanced drawing techniques, art history, and introduction to painting. The culminating project for an Academy student is the senior thesis. At the beginning of the senior year, the student selects a field of inquiry from the curriculum – literature, philosophy, math, science, the arts – and then selects a faculty member to act as his or her thesis advisor. The thesis is an exploration of one of the “Six Great Ideas” of humanity summarized as Truth, Beauty, Goodness, Justice, Liberty, and Equality. The first semester involves the selection of readings, directed study, note-taking, and conversation with the advisor. The second semester involves the writing of the thesis in sections, with the advisor offering feedback and guidance at each successive stage. The thesis is not a research paper, and it should not attempt to prove a specific point. Rather, the senior is asked to logically develop and assertively present his or her own philosophy on a topic of personal interest derived from the chosen texts. The thesis culminates with the senior defending his or her final draft in front of a committee of three faculty member.